1. Don’t take anything personally: Don’t put up a fight or a defense when your in-laws come off cold towards you as this will only increase the tension. Preparing a giant, delicious meal for your closest friends and family can be extremely stressful so if your in-laws seem aggravated cut them some slack. They took the time to ensure your and your family’s holiday is enjoyable so show them that you are appreciative. 2. Offer to help with anything and everything: Consistently, almost to the point of annoyance, ask if there is anything you can help with because this will show that you are not just asking to be polite, but that you genuinely want to help. Thanksgiving is all about authentic appreciation so helping out without being asked is a sincere way to win over your in-laws. 3. Agree in advance when you are leaving: Nothing is more uncomfortable than hinting and nudging at your partner that you want to leave. You don’t want to hurt their feelings so instead of interrupting family game night to tell your loved one you want to go home, plan a rough time for leaving. Lay out an exit strategy complete with back-up excuses if you know your in-laws are the type to beg you to stay for “just one more game”. 4. Find a place to catch your breath: If you can sneak away from the mayhem for a few moments to relax and decompress then by all means go for it. Do a few dishes by yourself or sneak outside for some fresh air. Offering to take the dog for a walk is a practical way to sneak out and seem helpful. 5. Be prepared for the worst: If you usually have an unpleasant time then don’t expect this Thanksgiving to be any different. Learn from previous family events and know what not to say, when to refrain from offering relationship advice and what to wear. If you’re miserable just remember it is only short-term and momentary. 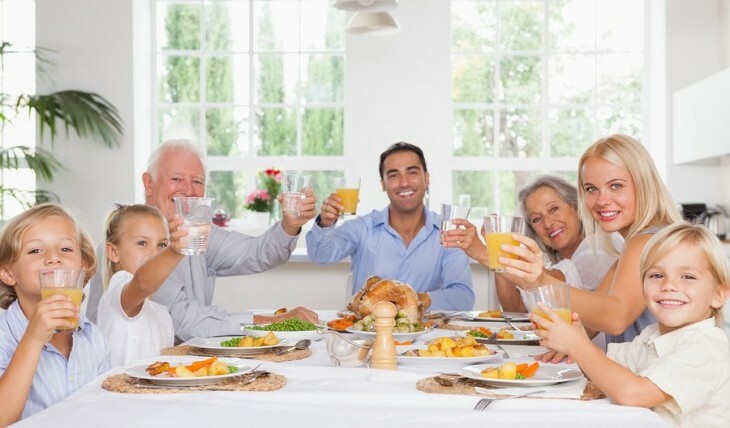 How do you make your in-laws feel comfortable at your own home? Let us know below.